If you’ve been injured in an accident, it can seem like the world has turned against you. Bills for your extensive medical treatments are piling up. You may be unable to return to your job. Money isn’t coming in to pay off those bills, and to top it all off, the parties whose negligence caused the whole mess are trying to dodge responsibility for their actions. The attorneys at the Bernard Law Group have been fighting for the rights of victims for more than 30 years in unfair situations just like yours. We have an outstanding success rate and have recovered more than $250 million for our clients. With the advice and counsel of a skilled attorney, the problems that seem insurmountable at the moment can be brought to a successful and just conclusion. 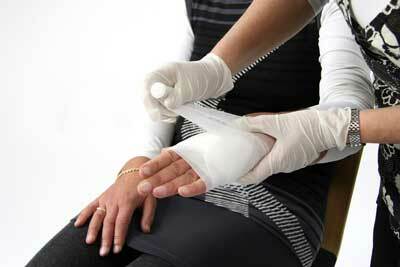 Our expertise extends across a wide range of practice areas and injuries. There’s nothing we won’t do within the means of the law for our clients. We’ll analyze every aspect of the accident to ensure that no liable party is left undiscovered, and no piece of evidence is overlooked. With the facts of the case established, we will then negotiate with insurance companies using proven tactics in order to achieve the highest and fairest amount of compensation. This restitution will cover damages for, but not limited to: medical bills, physical pain, emotional distress, vehicle repair costs, lost income, and any other incidental expenses. Don’t be left out in the cold. Contact the Bernard Law Group today to receive a free consultation with a member of our expert legal staff.